Corey Bellemore is the definition of a humble champion, a man almost apologetic for his unprecedented greatness in sport. Maybe that's because the event in which the 22-year-old Canadian has created a stranglehold in the past two years isn't the one he wants to be best at -- that would be the 1500m -- but, instead, the beer mile, the shadowy step-brother to traditional track and field racing that has only recently evolved from a covert, postseason exploit into a mainstream and socially accepted physical challenge. (Perhaps aided in part by the emergence of the FloTrack Beer Mile World Championships in 2014). Last weekend in San Francisco, Bellemore set his third world record for the event in 4:33.6 (about 4:03 of which was running time!). 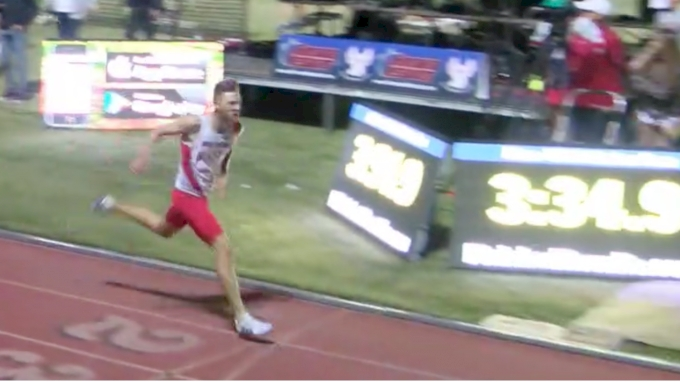 He is the only man in history to break 4:40, and he's now accomplished that feat three times -- though he has yet to officially break four minutes in a standard mile. If you have no idea how this works, here's the Cliff Notes: chug a beer, run a lap, times four. The first to the finish line wins. If you puke, you're disqualified (sometimes, you run a fifth lap as a penalty). Beers must contain at least five percent alcohol. My very, very unofficial split times for Bellemore's record are as follows. The total time adds up to 4:34.08, so he was actually a bit faster than this, and the run time is technically clocked for about 390 meters, not 400 meters, as there is a beer-drinking zone before the start and finish line. Bellemore claims he's "not sure" what his fastest chug time is, though it's safe to bet he's gone five-seconds flat. He set his last record in July of 2016 and says he wasn't expecting to break his 4:34.35 PB in San Francisco. He and his girlfriend got free flights to California for the event, held during the halftime of a professional soccer game, and treated it more like a weekend getaway than an athletic competition. "It was just supposed to be a fun thing," he says. "But once I got into it, I got competitive and thought, 'I might as well try to actually do this,' and it came out better than I thought. I glanced at the clock and I'm used to recognizing certain splits [so I knew I was ahead of the record pace]. I knew I could close around a 60 or just under since my legs were feeling pretty good and my breathing's not too bad. I'm used to closing workouts faster than that." 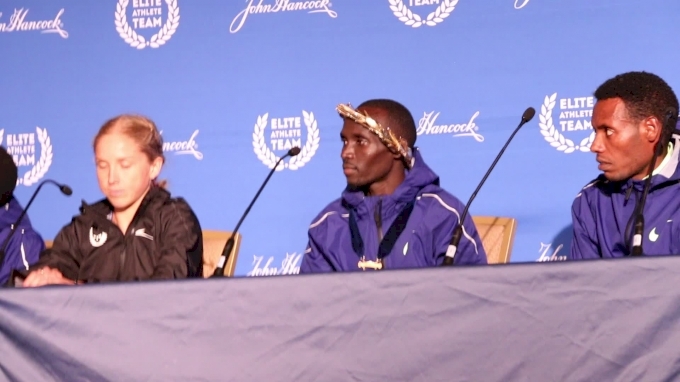 Bellemore was originally supposed to be a guest on FloTrack's On The Run Podcast, but backed out at the last minute due to the most intense media demand he's experienced in his entire life -- even more than the first world record. That's good news for adidas, his apparel and running shoes sponsor, as well as Flying Monkeys Brewery, his beer sponsor, and Infinit Nutrition Canada, his nutrition sponsor. He's not the first professional beer miler -- Corey Gallagher was sponsored by Under Armour in 2014, and Lewis Kent signed a deal with Brooks in 2015 -- but he is by far the most dominant one, and at 22 he's certainly still in the early stages of his career. 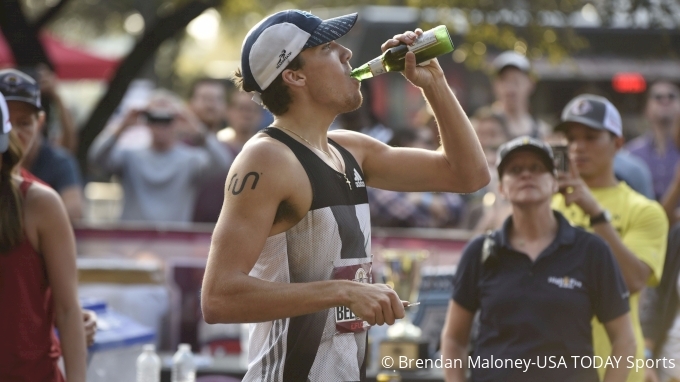 Of course, Bellemore doesn't consider beer mile-ing to be his career, per se, though it is his chug-and-run skills that have garnered him multiple sponsorships, which is more than many fresh post-collegiate runners even hope for. "It's fun while I do it but aside from that, it's not something that I'm gonna train for," he says. "I really don't think about beer miles until I'm actually in a race. I know it's sort of a parody of my serious running . . . I don't hear a lot of [criticism] directly, it's more indirect, but I definitely hear some of the slack third person. I don't know how to feel about it, [the beer mile] has only helped me really, but I can see both sides of it. At the end of the day, I'm just trying to have fun and keep the mood light. I'm just an athlete." Bellemore graduated from the University of Windsor this past June, and supplements his sponsorships by working full-time at the the Running Factory, a specialty running shoe store in Ontario, while training to make the 2020 Olympic Games in the 1500m. He is coached by Dennis Fairall, the long-time mentor of Canadian 800m national record holder Melissa Bishop, the 2015 world silver medalist. Bellemore's professional running aspirations are certainly realistic. He earned dual fourth-place finishes at this summer's Canadian National Championships in both the 800m and 1500m, theoretically one spot off making the world team. 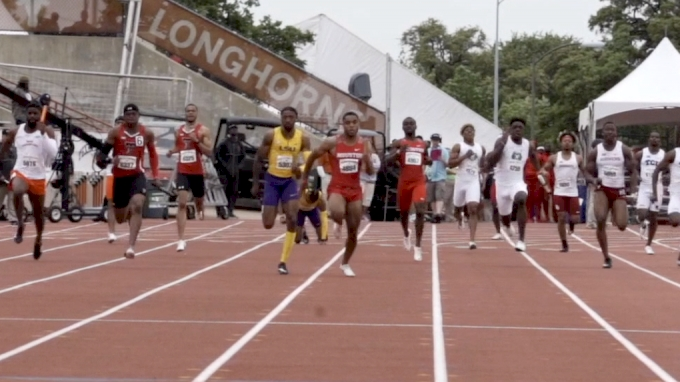 The tougher part, of course, is achieving the world standards of 1:45.9 for 800m and 3:36 for 1500m; Canada sent just one man to the London world championships in the 800m (finalist Brandon McBride) and none in the 1500m because no other athletes had achieved the qualifying time. 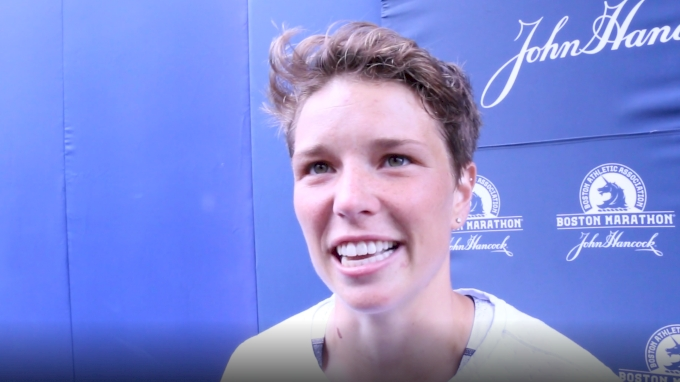 Bellemore set a 1500m PB of 3:42.05 this season, but says most of his races in Canada were either time trialed with him way out front or were rabbited to 800m. "To be honest, I don't think it was a true reflection of the shape I was in," he says. Still, he represented Canada twice this summer, with a fifth-place finish in the 800m at the Francophone Games and a fifth-place preliminary showing in the 1500m at the World University Games. The Canadian track and field community is a small, close-knit one, so pretty much every Canuck is aware of Bellemore's background as a beer miler. He gets a few playful heckles from his competitors for it, and the announcers love to blast his accolades over the P.A. system to wake up the crowd. Right now, his focus is shifted to Canada's national club cross country championships held at the end of the month. During the indoor season, he hopes to travel to the United States for a few quick races. If you're reading this article for guidance on how to improve your beer mile time, Bellemore, unfortunately, does not have much to offer. I've spent time arguing with colleagues about whether it's best to fast through lunch (probably not) or expand your stomach with a leafy, green salad (my vote) or hearty burrito (sounds like puke). The debate will continue, as Bellemore declined to vote. "I eat pretty normal," he says. "I don't know if I'm the outlier who can whatever he wants, but I'm not the best person to ask about that. I know Lewis Kent [former world record holder] likes to have a huge meal the night before, and eat a lot of bread during the day." His go-to breakfast is the same as his traditional race day breakfast, then, oatmeal and eggs, maybe toast, followed by a sandwich and soup for lunch. One thing that does distinguish Bellemore's racing technique from others is his choice of implement. He prefers to race with a bottle opener in hand and has a foolproof one-step move to pry off the cap and begin drinking. He says most of the other athletes on the circuit use bottles with twist-off caps and race in gardening gloves, which provide more traction to open the cap by hand. "Most people say it's slower because if you miss that first pop, you're gonna miss time," he says of his penchant for the pop-top, "so I think I'm the only one on the circuit who does it." Not too long ago, a sub-five minute beer mile seemed impossible. Now we're staring down the lower digits of the 4:30s, thanks to Bellemore. Is a sub-four beer mile possible? Would that be the equivalent of a sub-two hour marathon? 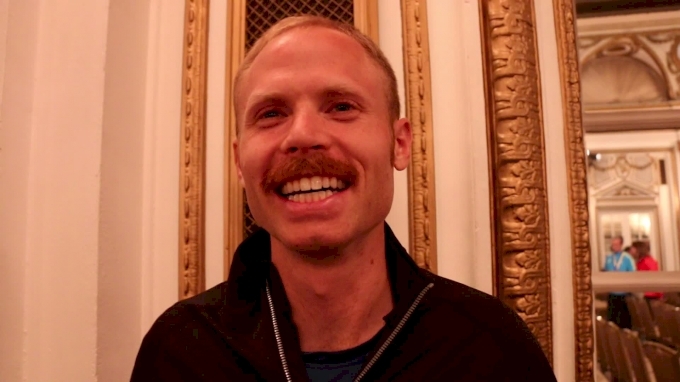 "I think a sub-four minute mile is possible in the running aspect of the beer mile, but I don't think a four-minute beer mile is possible," he says. "Just the splits of the 4x400 (or 390 in it). Personally, I think I can go another five seconds faster, not because I can drink faster or better but I will continue to progress as a runner and that's the difference."